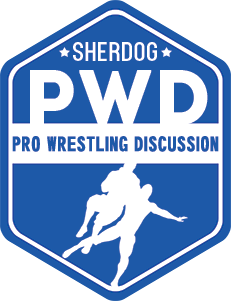 Discussion in 'Pro Wrestling Discussion' started by Minotauro Rex Foot, Apr 1, 2019. Max Power, Pen is mightier, Ikuza and 3 others like this. RR and Minotauro Rex Foot like this. Proper 12 commercial during Ronda match.... We made it!!!! Why did Ruby not Pearl Harbour Becky just now? Mcountry, Silent Liker, Minotauro Rex Foot and 1 other person like this. Liv Morgan should show more skin. Casrot, Sleestaxk, D.R.H. and 9 others like this. Not a fan of Becky's shorts. Frank23, Minotauro Rex Foot and Kung Fu Tze like this. Which Doctor and Minotauro Rex Foot like this. Work or shoot law enforcement? lakersfan45 and Which Doctor like this. Silent Liker, TheMadThinker and Minotauro Rex Foot like this. Great segment. Looking forward to the WrestleMania match. Mcountry, Casrot, Sivo The Ram and 1 other person like this. Casrot, Silent Liker, Frank23 and 3 others like this. @frenz not sure on heal time yet. I’ve got a follow up appointment in like a week and a half to get more details. There’s a lot of numbness in the top of my left pec right now so I don’t know if that’s going to be permanent dead nerves or not either. frenz, lakersfan45 and Frank23 like this. Silent Liker, Batjester and SoCalprodigy09 like this.